At the Watches&Wonders 2014 fair in Hong Kong, Montblanc presented three new models of the Meisterstück Heritage collection. The Meisterstück Heritage Date Automatic Gold models are available in a 39 mm case made of red gold. The thin case - height is just 9 mm - is absolutely classical and targeted to both men and women. The crown is embossed with the polished Montblanc emblem, standing out from the sand-blasted background. 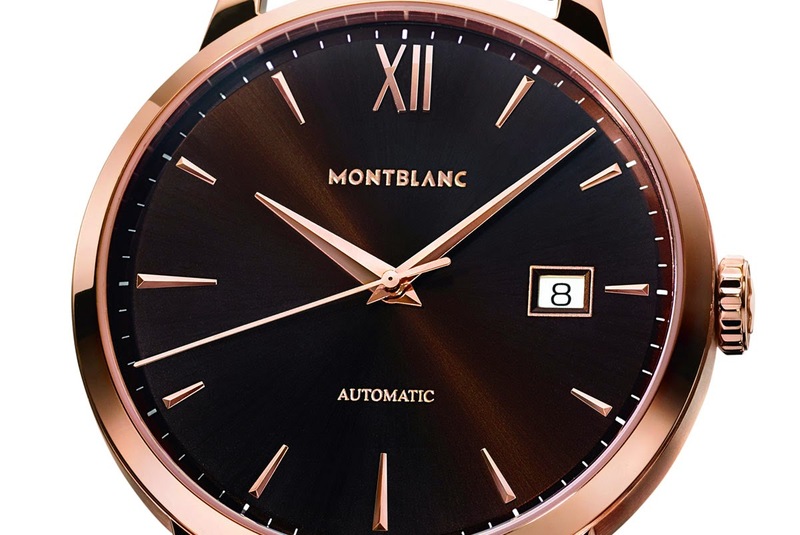 The first version has a trendy chocolate brown dial (ref. 111875), a colour that creates a nice contrast with red gold. 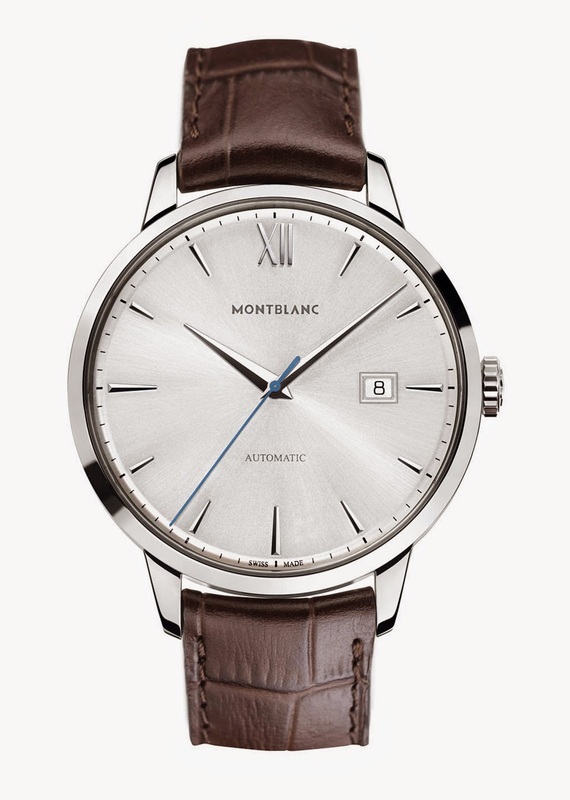 The silver white dial is available with (ref. 112144) or without (ref. 111874) diamond-set bezel. The dial of the Meisterstück Heritage Gold is slightly cambered and features faceted applied indexes in three different lengths, a large Roman numeral "XII" (also in appliqué), a date window with a polished frame and a fine sunburst pattern. The red gold plated dauphine style hour and minute hands well harmonise with the shape of the indices. 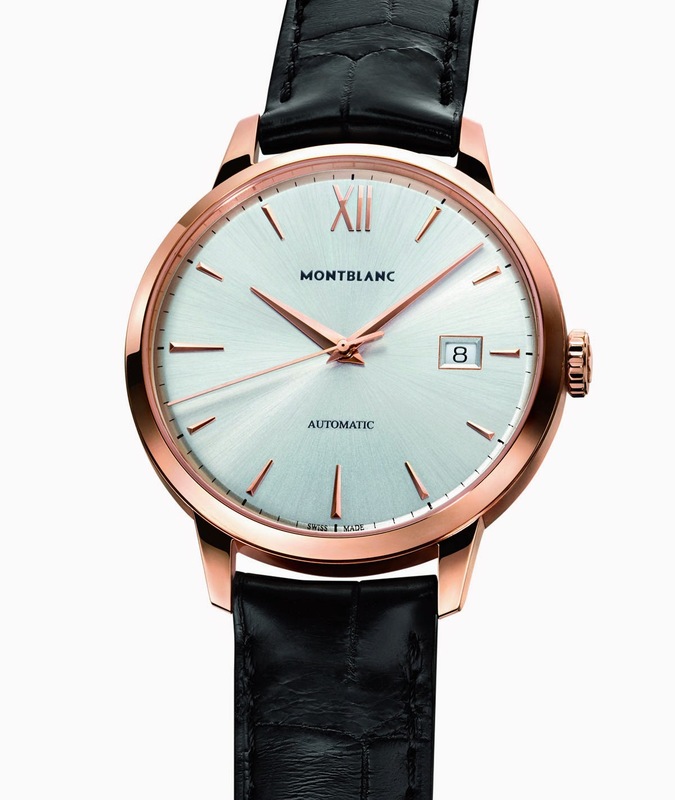 The three versions of the Montblanc Meisterstück Heritage Date Automatic are animated by a self-winding mechanical movement Calibre MB 24.17 offering a power reserve of 42 hours. The golden coloured balance wheel beats at a frequency of 28'800 A/h (4 hertz) and it is visible through a a pane of sapphire crystal in the back of the case. A black or brown large scale alligator-skin strap with a red gold pin buckle completes the timepiece. 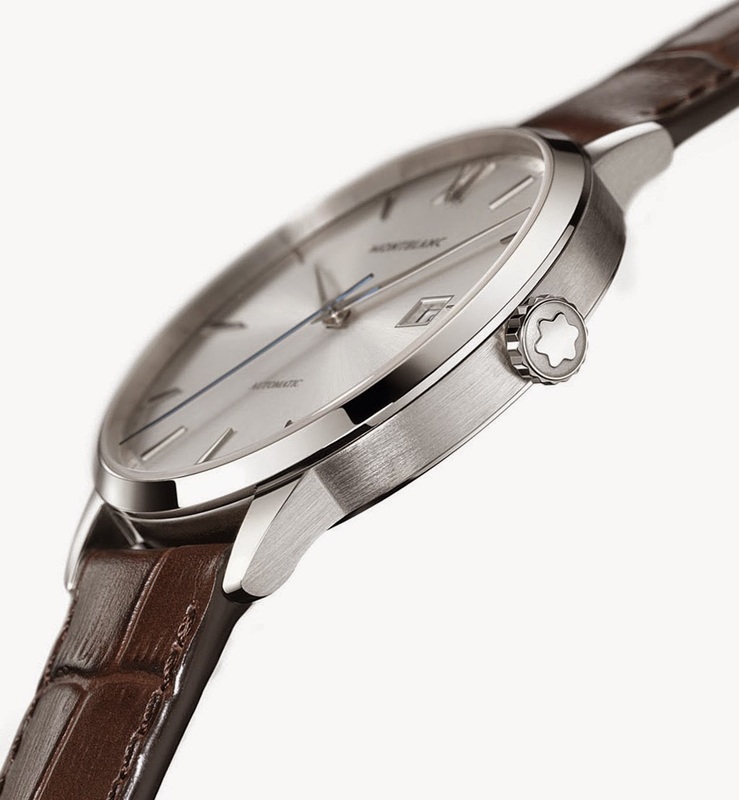 The Montblanc Meisterstück Heritage is also available in a 39 or 41 mm stainless steel case. At the Watches&Wonders 2014 fair in Hong Kong, Montblanc presented three new models of the Meisterstück Heritage collection. 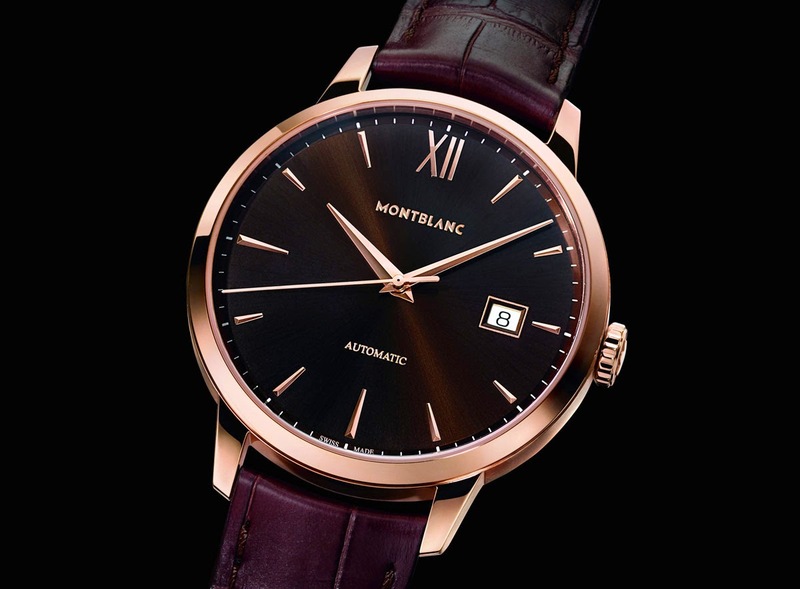 The Montblanc Meisterstück Heritage Gold models are available in a 39 mm case made of red gold. The first version has a trendy chocolate brown dial (ref. 111875), a colour that creates a nice contrast with red gold. The silver white dial is available with (ref. 112144) or without (ref. 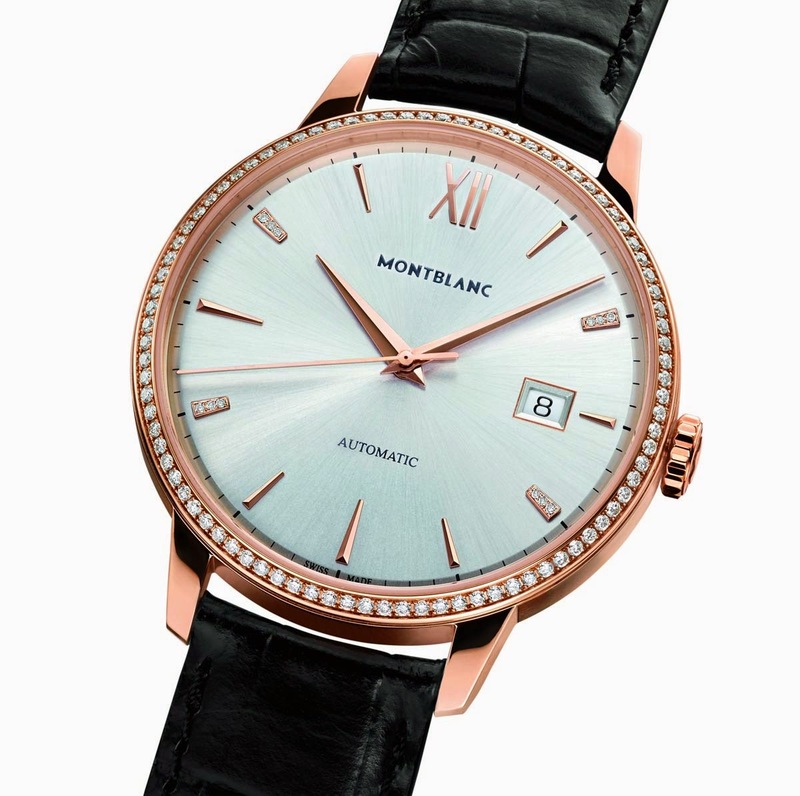 111874) diamond-set bezel.